Movies made or ruined me; I'm not sure which. As a teenage "balcony bug" I haunted Chicago's great ornate Balaban & Katz movie houses believing that everything up on the screen was real and that actual life was a trick played on us by grownups. My first contact with the actual Hollywood was at UCLA which functioned as a kind of auxiliary studio for nearby MGM, Paramount etc. My best friends included children of the blacklisted "Hollywood 10"; my girlfriend played Jane in a Tarzan movie. My first paid job (75 cents an hour) in movies was as a janitor and playing a “native boy” -- in sarong and shoe-polish blackface -- on the set of Curt Siodmak’s Bride of the Gorilla. (What? You haven't seen it?) In New York I apprenticed as film cutter under the great Sidney Meyers and the street photographer Helen Levitt. Back in Hollywood, I was blacklisted for refusing to “name names.” By a lucky accident, I sidestepped back into the industry as an agent on the Sunset Strip which taught me where the real movie business was done. In England I wrote or adapted TV longform scripts including Herb Tank’s merchant sailor drama Longitude 49; Sally Belfrage’s Freedom Summer; and James Cain’s book (not the Billy Wilder film) Double Indemnity. As a film critic for the BBC, and Spectator, The Listener, New Statesman etc., I spent afternoons in darkened screening rooms in Wardour Street, an odd way to make a living. On returning to America, and teaching at USC’s Annenberg School of Journalism, I retooled as a screenwriter working in partnership continuously with my wife Janice Tidwell. 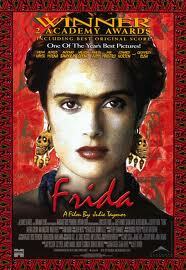 We co-wrote Frida, In Love and War and other screenplays.